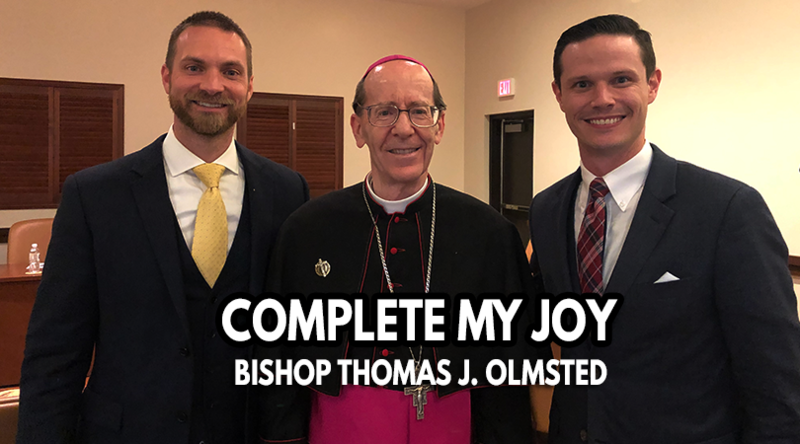 While at the Catholic Men’s Fellowship of Phoenix Conference this past weekend, we were able to sit down with Bishop Olmsted to talk about his new Apostolic Exhortation, “Complete My Joy”. In 2015, Bishop Olmsted wrote “Into the Breach” an Apostolic Exhortation to Catholic men and masculinity that has been a popular read all across the globe and has now been officially translated in 11 different languages. Bishop Olmsted released the apostolic exhortation on the Feast of the Holy Family, December 30th, 2018. We want to thank Bishop Olmsted and the Diocese of Phoenix for the opportunity to discuss, “Complete My Joy,” and hope everyone will take the opportunity to read this gift. 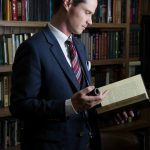 WANT TO SUPPORT THE CATHOLIC MAN SHOW? You can do so by becoming a patron on patreon. In the month of February, we will be giving away free thank you gifts to members who sign up. We are looking for men who want to take their faith seriously and who continue striving to live a life of virtue.